black boots, white belt w/ pouches, M-16. on the neck is sometimes white. 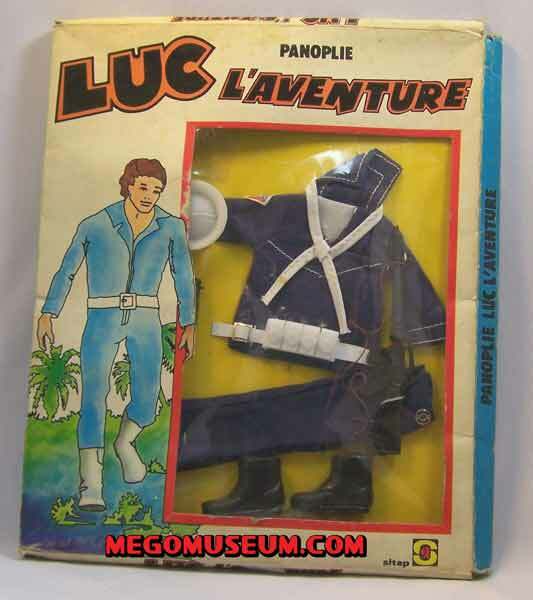 Action Jackson was known as “Luc L’Adventure” in France, above is a boxed Navy outfit for Luc. No boxed Luc action figures have been unearthed as of yet but they must be out there. The AJ Navy set comes with either black or white short cropped boots. 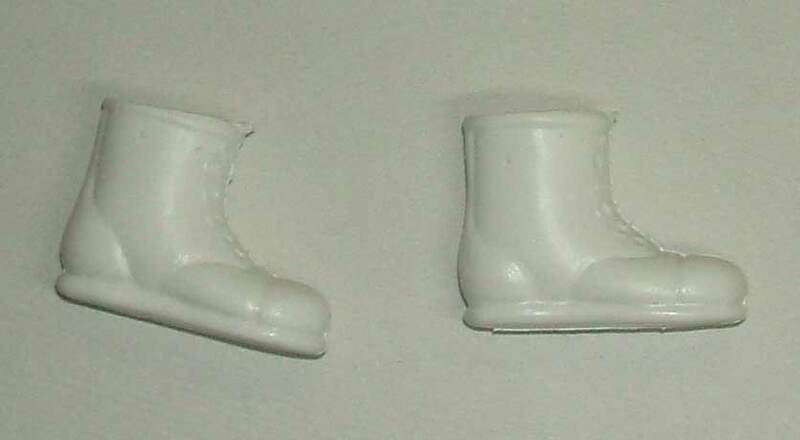 These are the same white boots that come with the basic AJ figure, although the ones that come off the card will have small pinholes where they were attached and the ones that came from a basic boxed AJ will not. The white version has not been factory reproduced, although the tall white boots have been reproduced by CTVT and could be cut down. The black version is can also be found on some of the Mad Monsters and on the POTA Astronaut. Classic TV Toys has reproduced the boot. The reproduction is a touch smaller and has more flashing evident. The reproductions are unmarked. 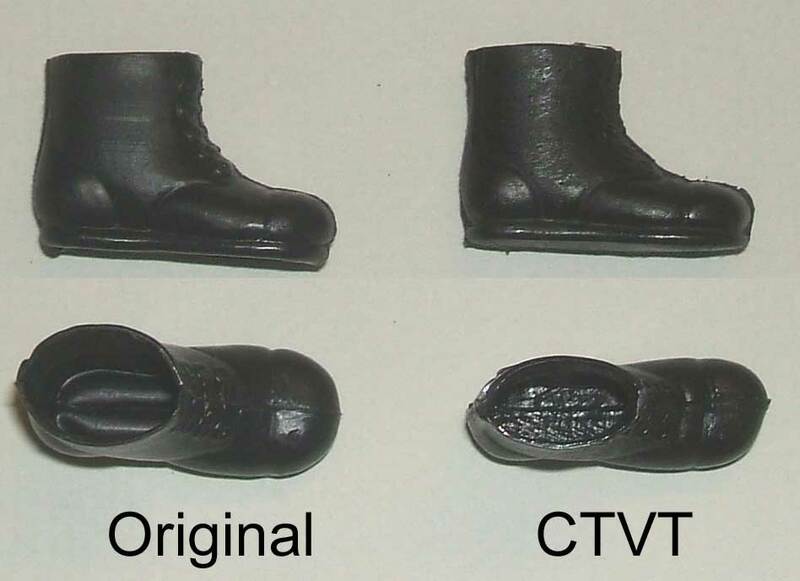 CTVT also makes a full lenth black combat boot (see Soldier Ape) and this boot can be cut down to make an almost factory reproduction of the short cropped black boot. The full size combat boot reproduction is a very soft rubbery material when compared with the original and is also unmarked. 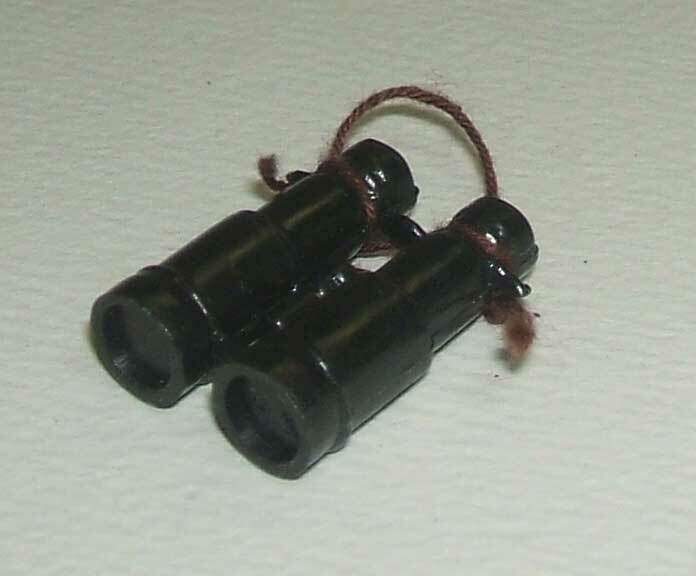 Usually, this set comes with binoculars, however some less common versions of the set did not. This item has not been factory reproduced. A place for his stuff. Many sets come with packs that slide onto the belt. 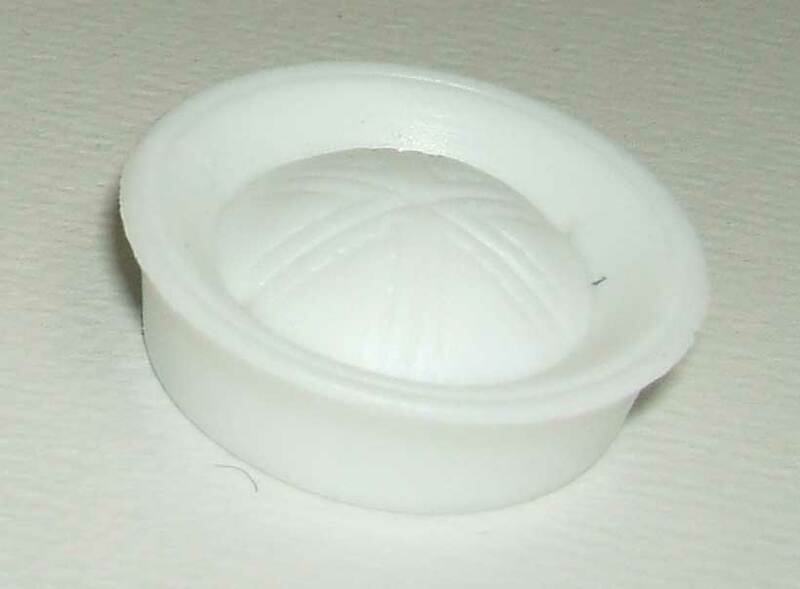 This one is white and has not been factory reproduced. This item has not been factory reproduced. Many AJ sets come with the same M16. This can also be found with several figures in the POTA line. 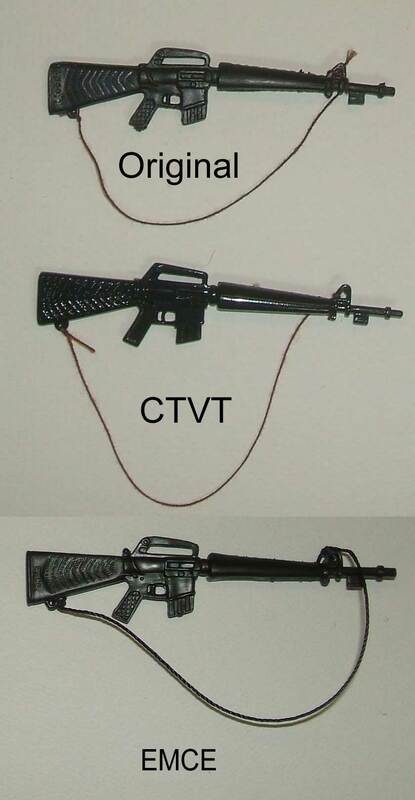 The rifle has been factory reproduced by CTVT and by EMCE Toys. The original says Mego on the stock, while the CTVT reproduction is unmarked. The EMCE version is stamped EMCE in place of the Mego stamp on the stock, so it’s easy to ID. Good thing too, since it’s pretty hard to spot otherwise. It’s a very accurate reproduction in material and color. The tell here is the grip near the trigger. 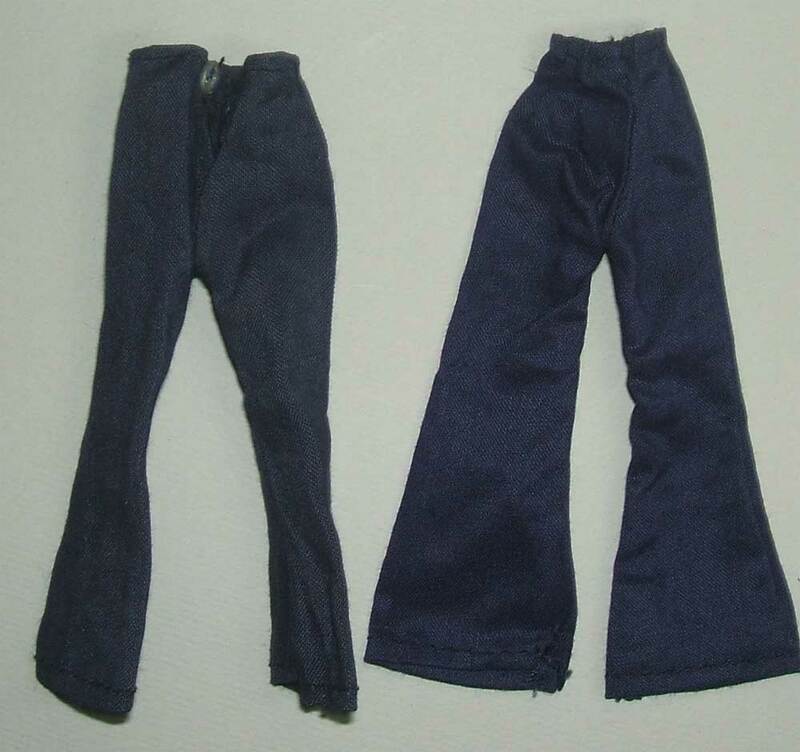 The pattern on the original is much smaller than the pattern on the EMCE version. EMCE also used black string instead of brown for the strap. 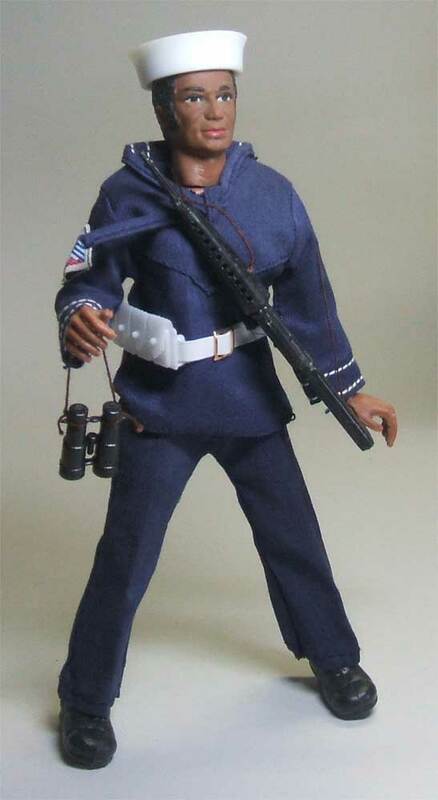 The set can also feature the more rare white M16. The white rifle is identical to the black but has not been factory reproduced. 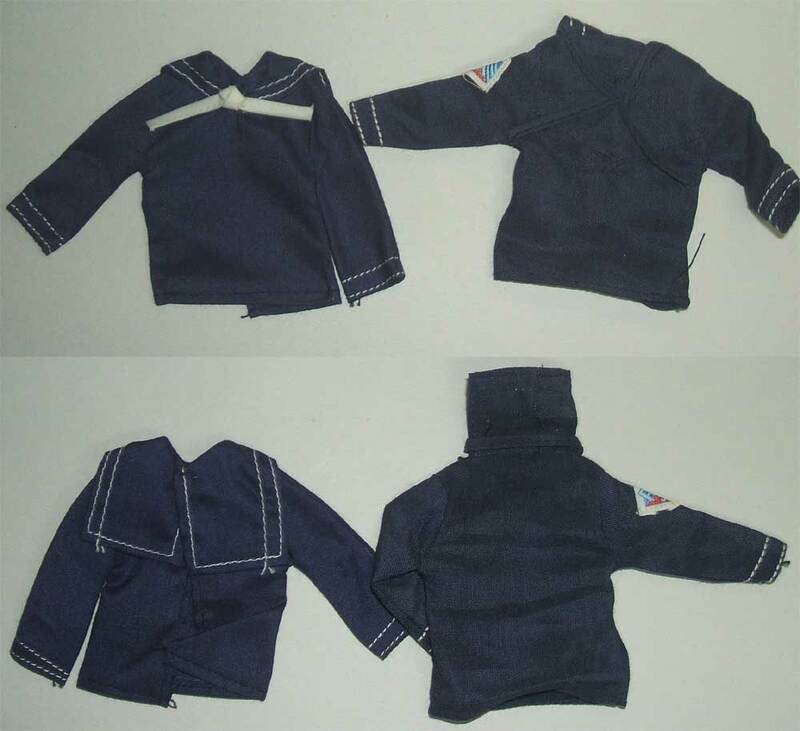 The Navy shirt comes in a couple different styles. 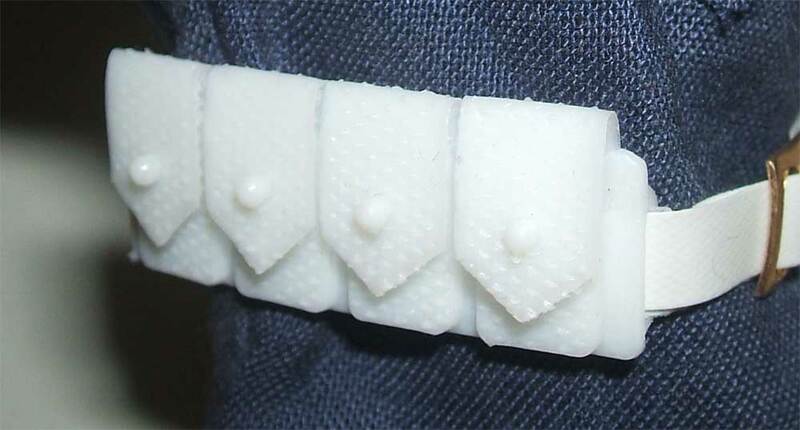 The attached tie version of the shirt pictured comes with different collar styles. The attached tie can either be blue or white. If there is no attached tie, then there should be a separate tie to the set, which is covered below. This item has not been factory reproduced. If your Navy set comes with a shirt that doesn’t have an attached tie, it should have this item as a separate piece. This item has not been factory reproduced. Like the shirt, the Navy pants come in a couple different styles. It can come with either an elastic waisteband or a snap. This item has not been factory reproduced.